Located in the heart of Lynchburg, Tennessee, which is known world wide for it's Tennessee Whiskey, and the Jack Daniel's Distillery, Lynchburg Cake and Candy Company is nestled just off the road behind Mr. and Mrs. Thomas' home. 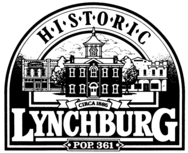 They offer free daily tours, and welcome all who want to come and enjoy the story of The Lychburg Whiskey Cake, The Lynchburg Whiskey Balls, and The Lynchburg Praline Pecans. Copyright ©2019 Lynchburg Cake & Candy. All Rights Reserved.